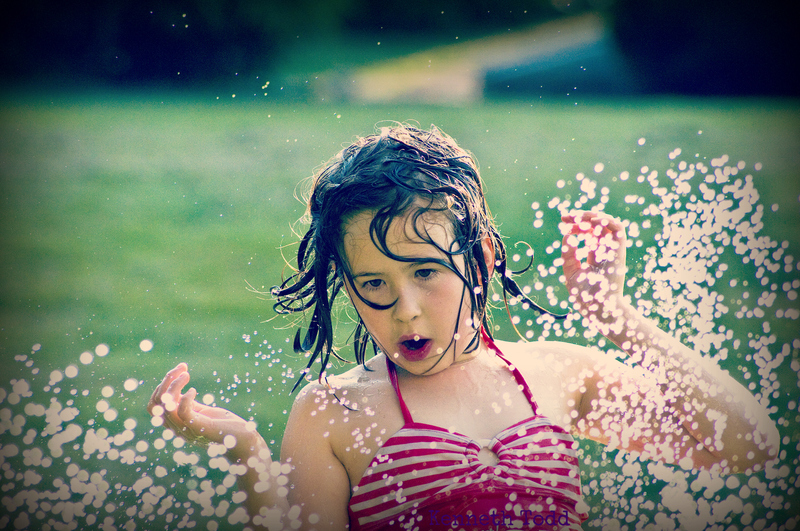 I took this photo today whilst my daughter Jade, was playing with the garden sprinkler. She was in her own little world playing some imaginary game. Water droplets everywhere, hair flying everywhere, but her mind was right there. In that moment. Perfect. That is where we should all be all the time. In the present moment. In the Now. The past is gone, the future has not yet arrived. The only thing real is this moment. it really did and believe it was fun. Yes it was, fortunately I had my camera outside. I think most kids live in the moment more often than not. I remember my son at five asking me, “Dad, why is always today?”. Thanks for dropping by and liking one of my comics. Awesome story 🙂 and thank you for stopping by too. wow, super photo kt, i love the concentration, the flying drops, just beautiful!